Restore your property to its pre damaged condition. Have you have suffered any of the damage types below? After a fire your property can suffer from many types of fire and smoke damage. Depending on what type, the severity and what smoke damage has occurred. You don’t need to worry about any of this leave it up to us. We will carry out a survey on which types of damage you have suffered and how best treated, we will then supply the insurance company with a quote on your behalf. Water damage can occur in several ways, such as burst water pipes, washing machine leaks or heavy rain on a damaged roof. If you have suffered such damage, you need a company that has years of experience dealing with water damage repairs. Rest Assured Loss Assessors Limited can take care of any flood damage, restoring your property to it’s pre-damaged condition and look after your insurance claim, so you don’t have to. Have you suffered from roof damage after adverse weather conditions? We cover all types of storm damage repairs, from broken or slipped roofing tiles to broken and loose guttering and collapsed walls. Rest Assured Loss Assessors Limited can repair the damage to your property and deal with your insurance claim at the same time. 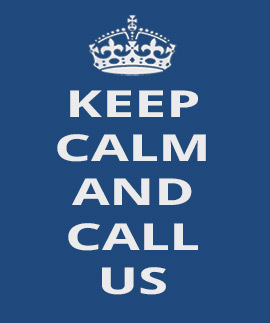 We will send someone around to assess the damage and advise you on your insurance claim free of charge. If you have suffered an impact to your property it can be expensive to put right. You will have to deal with insurance claims and worry about the condition of your home. It can be a complicated and stressful time. It maybe a collapsed structural wall, damage from a falling tree or just a broken window. We can assist and help sort the problem out for you by dealing with your insurance company. Has your property been damaged by tenants, cannabis farms can result in holes in walls and ceilings , water damage and fire damage.